CER with high efficiency impeller (3 dimensional closed type impeller with BC6 material), easy maintenance suitable for various duty, both indoor and outdoor application. 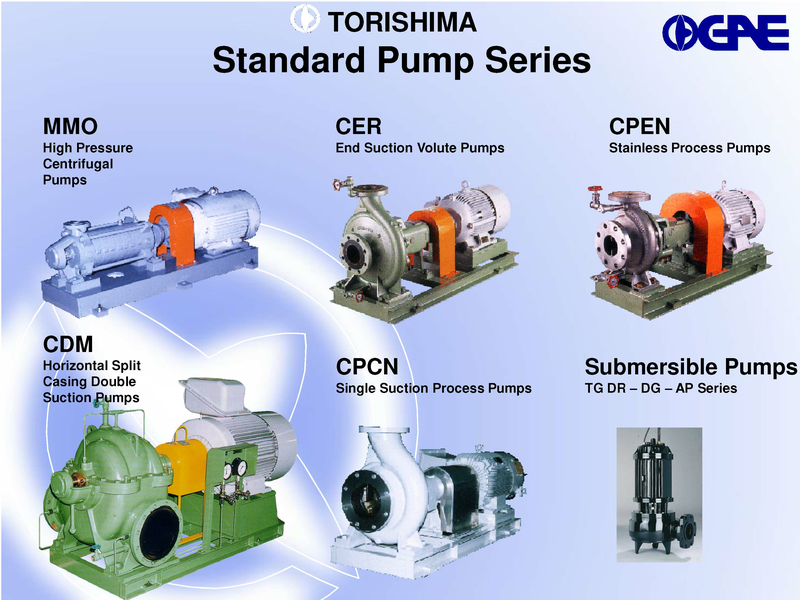 CE series is the pumping device well-known for its logical design and high operating efficiency. By the adaption to the standardized water pump and utilizing the meccano system, the CE series provide economic advantages for plant designers, plant manufacturers and users. The judicious graduation of pump sizes permits to always select a model of high efficiency and accordingly low horse power consumption. MMO high pressure centrifugal pumps are pumps of ring section type. They are suitable for clean media free from abrasive and solid particles and not liable to attack the pump mechanically (abrasion) or chemically (corrosion).